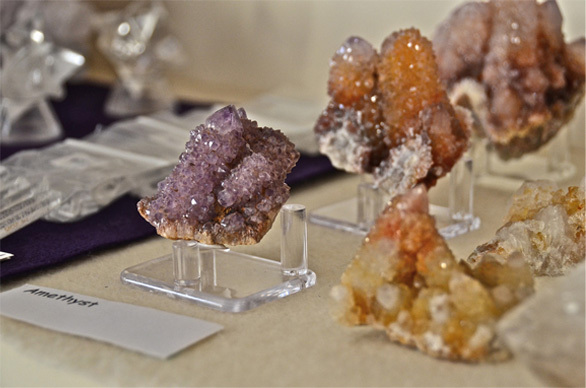 Through The Crystal Bee, Deborah Bookin integrates her life-long appreciation for the mineral kingdom with her years of study and experience in human service professions. A third-generation member of a family of retail jewelers, she grew up surrounded by precious and semi-precious jewels and metals. Influenced by the legacy of her mother’s healing gifts and her own personal health challenges, she explored the energetic healing arts for her own growth and healing. Convinced of the extraordinary benefits of integrating traditional and complementary healing modalities in attaining higher states of health and well-being, she founded The Crystal Bee in 1999 as part of her commitment to this approach. Before founding The Crystal Bee, Deborah’s earlier career in social work included over 15 years working in human service organizations in the areas of direct service, training, planning and administration. 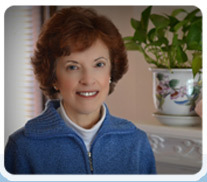 She has a master’s degree in social work from Case Western Reserve University and has had her work in the field of geriatric social work published in national journals of social work and gerontology, and presented before the Gerontological Society of America. Since 1992, Deborah has studied and been certified in a variety of healing arts that complement traditional health care and enable people to embrace a more active role in promoting their own health and well-being. She is a Reiki master, certified Feng Shui practitioner and Light Journey guide. She has completed Levels I and II of the Melody training program in the use of crystals and studied with crystal teacher and author Naisha Ashian. Deborah continues studies in energy healing that reflect her interest in helping people to develop and direct their own inner gifts and abilities toward greater health, growth and experience of well-being. Her special interests include helping people to create self-directed programs for nourishing self-care and plans for upgrading their environments to provide greater comfort and support for themselves on all levels. She enjoys working with individuals, families, groups and organizations at The Crystal Bee and in the community.